Evening girlies! Hope everyone has had a fabulous week so far, I certainly have anyway despite it STILL being freeeezing! Last week I was sent some lovely Note products by the even lovelier Olivia at The Publicity loft. I had only ever seen this product on Instagram a couple of times but I had heard a good few people raving about them, it was one of those things where you get distracted by something or someone else and kind of forget about it, then it pops up again and your like 'oh yea that I meant to get some of that!' Butttt never the less I finally got my hands on it and was jumping at the chance to try it out, especially because I wasn't expecting the parcel to arrive in the first place! Before I get into it I really want to state, like I do in every review I post, this isn't paid, it isn't sponsored and I wasn't give these products to tell you to buy them. This is 100% my honest opinion and if I personally didn't like something then I certainly wouldn't be telling you guys to go and spend your hard earned money on it! Ok now all that is out of the way, here we go. 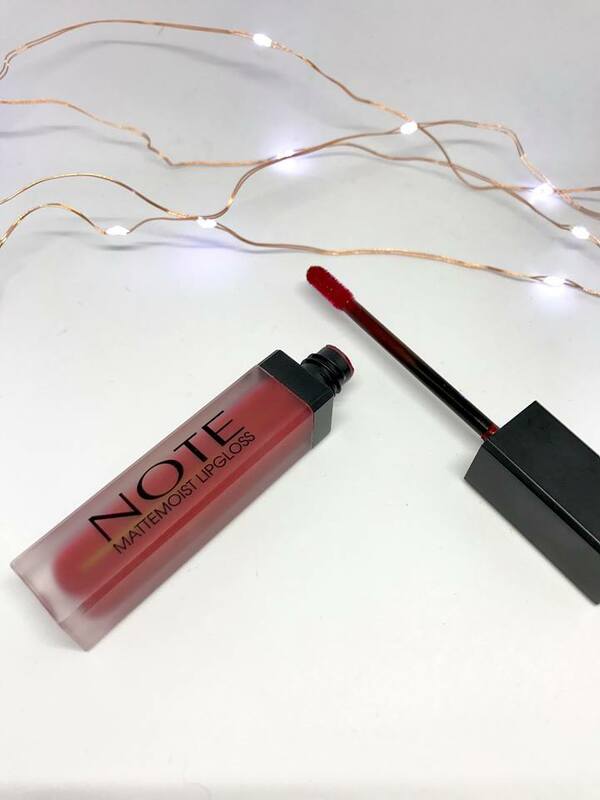 In my beaut wee parcel I was sent the mattifying extreme wear foundation, full coverage liquid concealer, ultra rich colour lip pencil and a mattmoist lipgloss. Obviously I was most looking forward to trying the foundation. 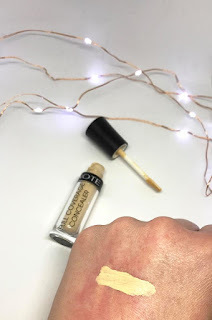 As a make up artist I LOVE trying out new foundations, seeing how they last, how they go on, how well they blend, how they smell (this is a big one for me- the main reason I don't use MAC foundations!) 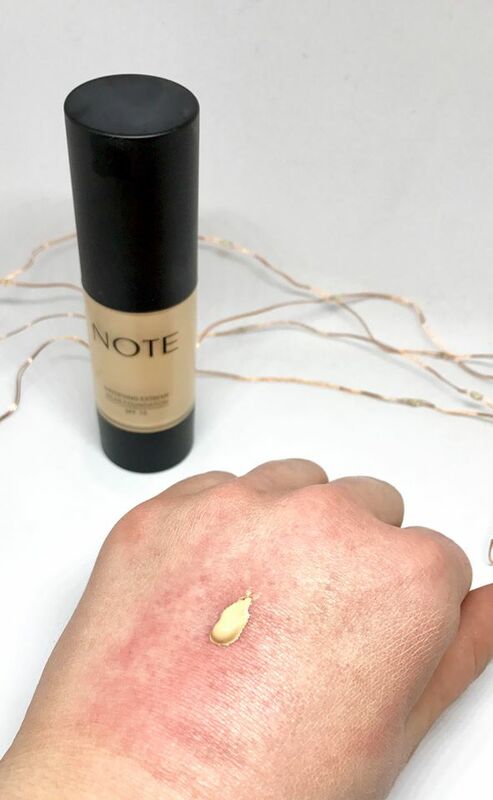 all the usual stuff we all do with a new foundation. 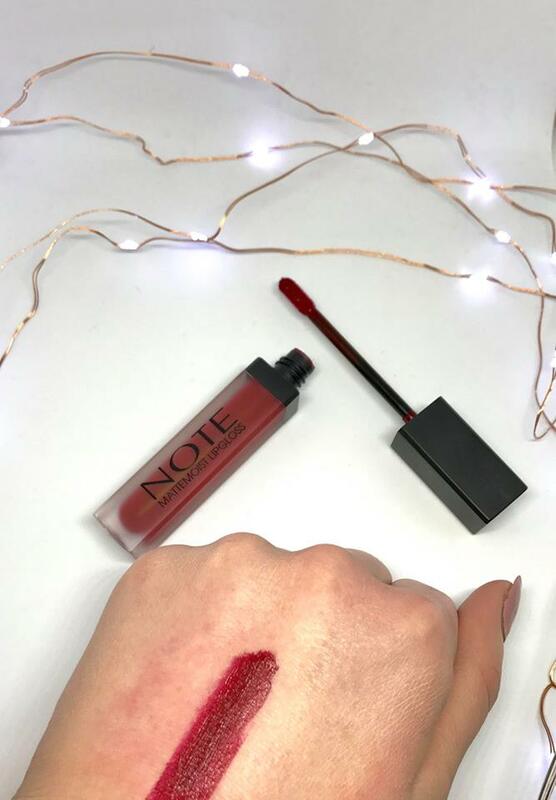 First of all the packaging- simple, sleek and you can see how much you have used. Some foundations are covered up and you never know when you are running low and that bugs me so much! AND there is a pump! Ok this might be a weird one to some people but the smell of foundations is SO important to me! I use it every single day, some just once yes, but sometimes up to ten times a day so I want them to smell nice, isn't that much of a request is it?! This smells like a cleanser or else baby wipes- it is so fresh and then in my head it automatically makes it lighter haha. MAC Studio Fix smells like paint to me, so I HATE putting it on my face for that one reason, all I can think of is how heavy feels to me! It blends so so easy and has really good coverage for one layer. I always double up on my layers however if I don't think the coverage is enough for me personally from just one layer. Staying power- 9/10. I might have (most deffo did) fell asleep with this on me one evening and it was STILL on me the next morning, disgusting I KNOW! I genuinely didn't do this on purpose as falling asleep with make up on is my pet hate but I mean if that isn't a test of staying power I don't know what is! The only thing I would say is around my nose and chin it started to go a little dry and flakey, my skin has been super dry the past while however so that might be as to why. Other than that, I really would't have any faults with this foundation at all. 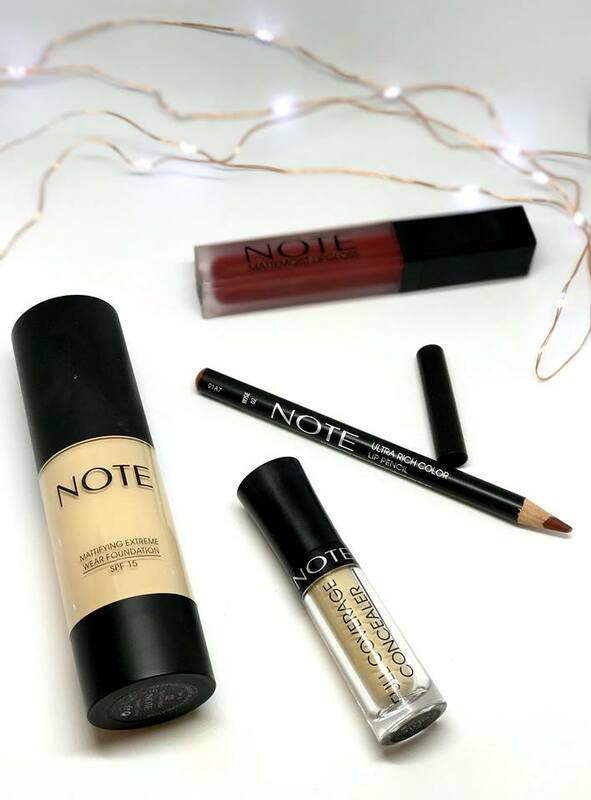 It really does give that 'instagram flawless face'! 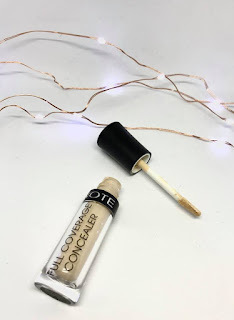 Concealer- again I really like the packaging, just simple and you know what it is. The applicator is like most concealers these days and is the one I personally find the easiest to use as it goes onto the skin really smoothly. It is nice and light, and has good enough coverage but you need to work super fast. I would only apply it to the area I am going to work on straight away, I wouldn't apply it everywhere and then work my way around my face. 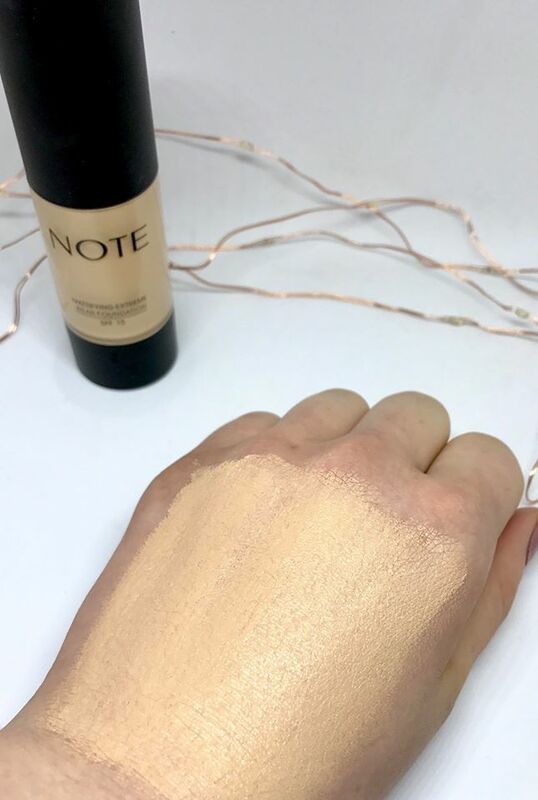 I use it under my eyes and again like my foundation I like it to be super full coverage so I just apply a double layer and it works. And no it doesn't look caked on me either, it is so light so it never feels or looks like that on me or clients! 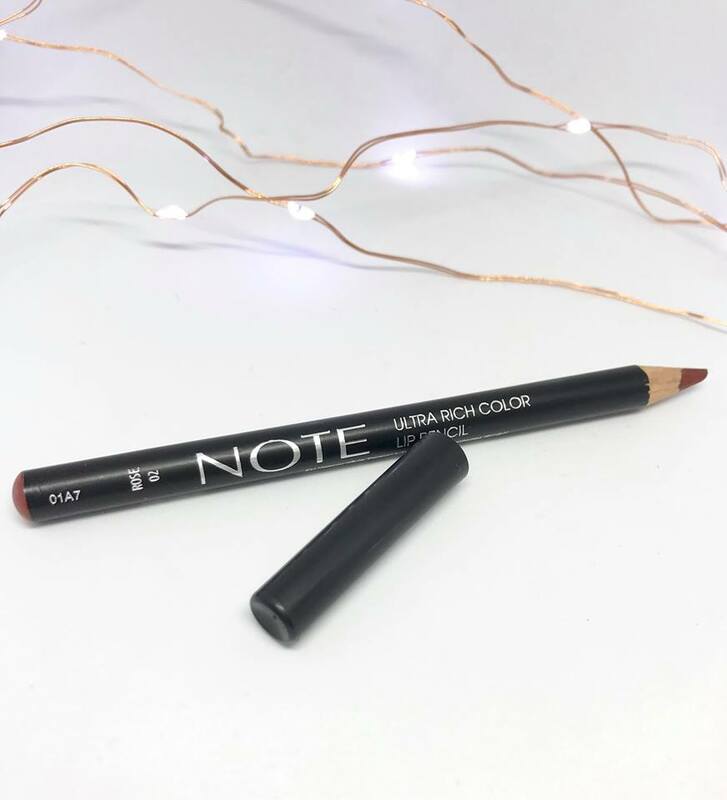 Lip liner- OK LIFE CHANGING-THE END. Basically that is all haha. It doesn't budge, like does not move! 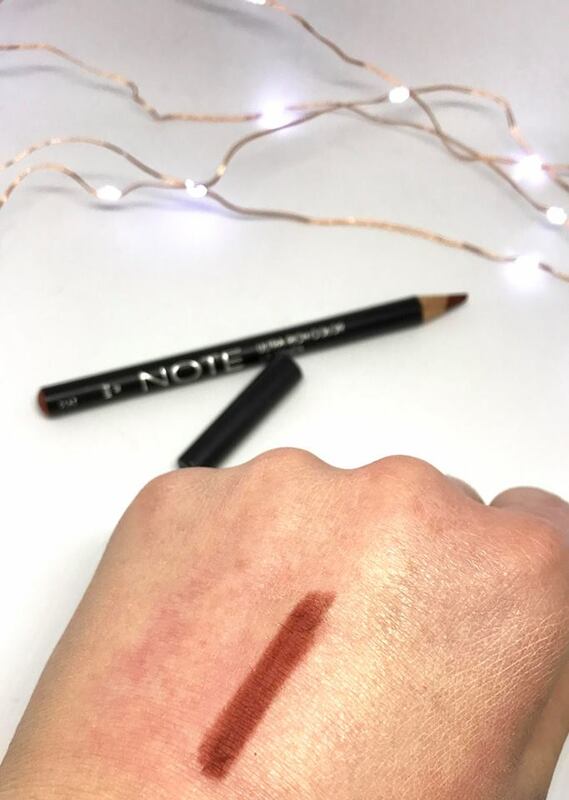 I was sent shade rose 02 and I mean it is so perfect for me anyway because I love nudes/browns. I wore it all day to work and out for dinner a couple of times and it doesn't come off hardly at all. Okay, a tiny teeny bit in the middle of the lips but apart from that none at all and the colour doesn't fade either, super pigmented. Hands down my favourite lip liner (except rimmel cappuccino because I can't live without it ok) to date! Lip gloss- packaging of this reminds me of the sleek lip glosses every time I see it, but I still like them all the same, wouldn't put me off buying them. You can see what the colour is without having to look at the bottom of the packaging which I like, saves me 0.0002 seconds haha. 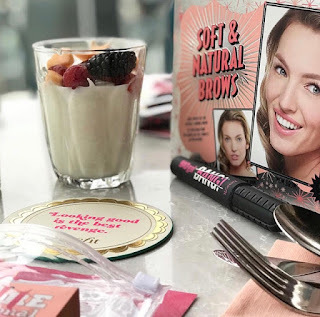 I've linked everything I was sent under each review but you can see what other products they have on their website here. Such a brilliant brand for unreal prices, treat yourself!! Happy humpday you lovely lot.. It was super sunny here in Ballycastle today, I have a cup of tea in my hand, I am just about to head home and life is pretty good! I am actually surprisingly happy this Wednesday even though it is half way through my first week back to work, did I happen to mention that anywhere at all? Just incase you didn't know I am back to work full time now haha. 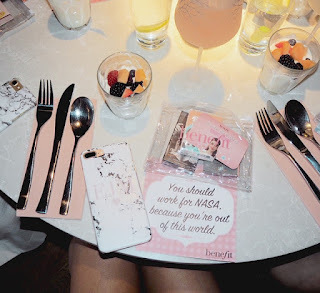 On Sunday I'm sure you are all aware by everyones Snapchat and Instagrams that some of us 'Bloggers' from around Northern Ireland came together for a little brunch we like to call the NI Blogger Brunch in the beautiful Babel which is located on the rooftop of the Bullit hotel, hosted by Cathy and her wonderful team! 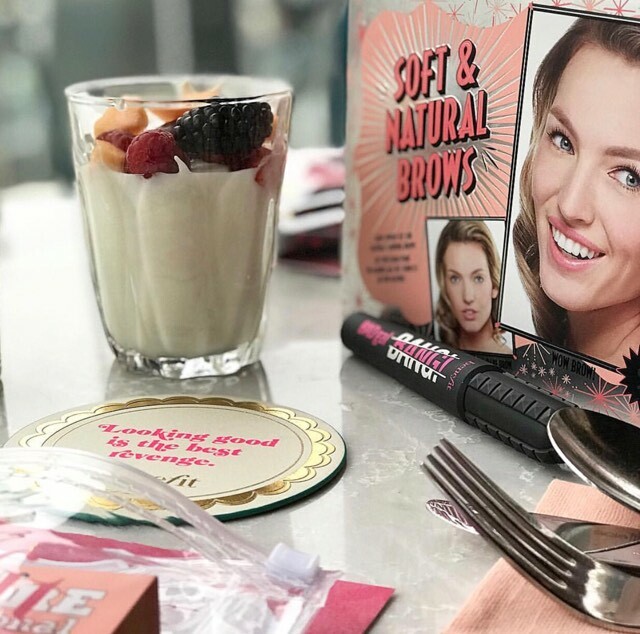 This time we had the lovely benefit girls up from Dublin and some of their benny babes from Belfast giving brow make overs at our tables, hints and tips and even giving us a few little sneaky samples to take home! 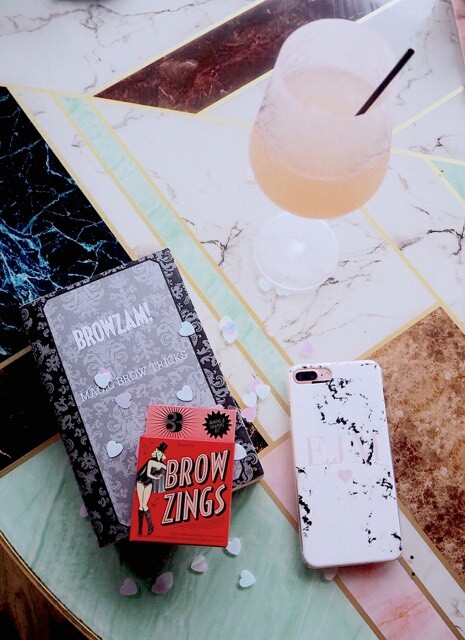 They talked us through some tips on how to get the perfect flat lay or maybe not even a flat lay but just how to make your pictures pop in general to suit your personal style/insta. They talked us through the new product just launched by Benefit- the BAGgal BANG mascara. Why do Benefit need a new mascara you say? Well that's what we were ALL thinking too until Katie (the brow queeeeen) told us the method behind the madness! One mascara lengthens and one adds volume, so technically they needed one that does both, right? It even contains aero-particles which is one of the lightest known materials known to man (and used in space!) 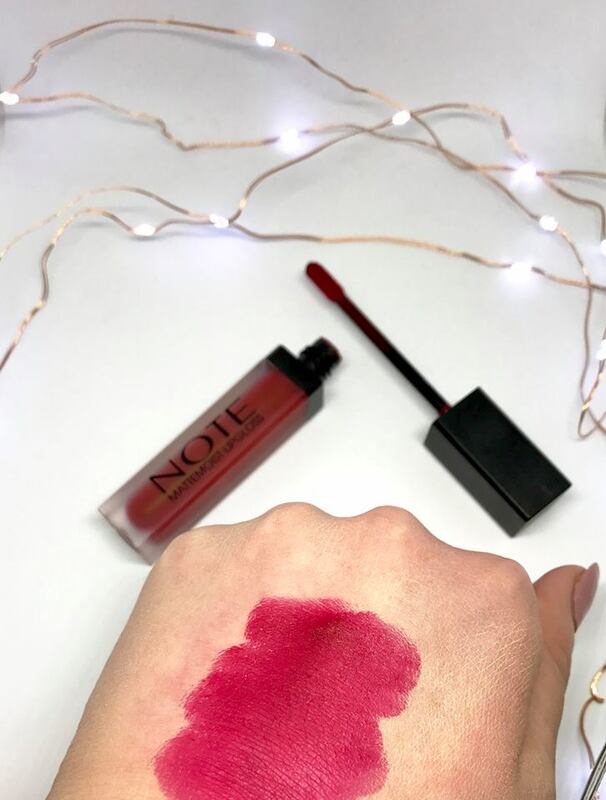 making sure it doesn't weigh down your lashes making them clumpy.. andddd making it out of this world! I didn't get up and speak this time as I felt I had said everything I had to say the last time but now looking back I wish I had of spoke as when Im looking at everyone Instagram it seems I don't actually know everyone that was in the room, which means they don't know me either! Next time I will however speak and let everyone know who I am and what Emma Jane is about. One thing I love about this little meet up is that nobody judges you for taking 100 photos of your orange juice on the table, or you can stand in the middle of the room and pose for 10 different photos and nobody batters an eyelid because it is deemed the norm haha and that everyone is just generally lovely and supportive of each other, you leave in such a good mood and feeling so much girl power! I am obsessed with jumpers and skirts at the minute, its too told to get the legs AND arms out so just the legs at the minute is the perfect transition into spring! This jumper was from H&M and when I saw it on the rail I wasn't sure if I loved it or thought it was basic enough, but I tried it on and I loved the style once on, it was SO comfy and I thought it was super flattering for a jumper! Up close there is so many different colours in it so I know I will get so many uses out of this by teaming it with so many different colours and textures and even better it was only £19.99! When I got home that evening from town I didn't think I had anything to wear on Sunday as the jumper was the only thing I picked up, but I remembered I hadn't worn the skirt or boots I got a couple of weeks ago from River Island. So decided to throw them all on together and ta day heres me just thinking I'm Kim K posing for Yeezy.. beige on beige on beige on beige haha i wish!! I've linked everything below for you guys if you want to shop it! Happy Friday ladies and gents! Will this snow ever end? Personally I am SO over it, I can't go anywhere with it in my car so roll on the spring and summer! Speaking off, as some of you know this time of the year sees the beginning of the search for the new Miss Northern Ireland and last Thursday we kicked things off with the official launch night at the Europa Hotel Belfast. 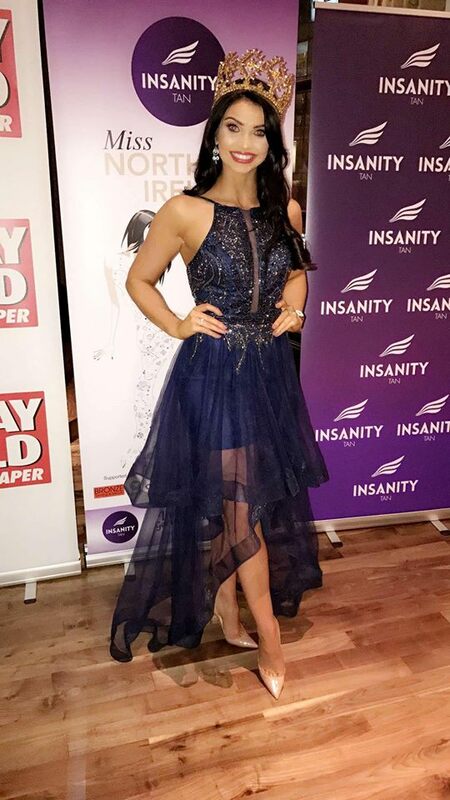 Former Miss Northern Ireland, Zoe Salmon presented the evening with class and glamour as always, wearing a sliver show stopper! In the crowd were the lovely former Miss NI's, press, bloggers, sponsors and of course some of the hopefuls wanting to walk away with the crown at the grand final at the end of May. Zoe talked us through the heat dates and venues, what Miss Northern Ireland entails and much more, talking in front of a crowd of people is so much harder than people first think and Zoe does it so effortlessly! Some of the hopefuls for this years crown! 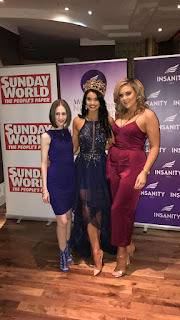 sold out on HOF and ASOS but I've found it here for you guys..
ACA Models MD, Former Miss Northern Ireland and Miss World license holder, Alison Clarke talked us through all the sponsors for this years contest, some old and some new. Here are a list of them all, I mean come on?! amazing!! Bronze Salons, Donnelly Group, The Europa Hotel, Ulster Tatler, Rosie's Closet, Make Up Pro Store, Sunday World, Think FIT! and finally, Insanity Tan- you all know HANDS down my favourite tan to ever grace this earth!! I honestly love and swear by it so much and have converted so many of you lot too! My fav combo is the 'Ultra Dark' Bronzing Mousse with the Instant Wash Off in 'Shimmer' over the top just before I head out for that dreamy glow. Gerry and Joe are such lovely men and are so passionate about both their product and Miss NI, it's a perfect pair! So know we know all the sponsors, who wants to know the prize list?! One lucky girl will be getting all this, WHY can't I be younger!! and finally a make up hamper to the value of £500 by make up studio, available from Make Up Pro Store and a lesson with the talented Paddy McGurgan himself. I mean WOW what a frecking prize bundle right? Insane amount of stuff there from all the amazing sponsors! Did I happen to mention I'm jealous? ekkkk!! 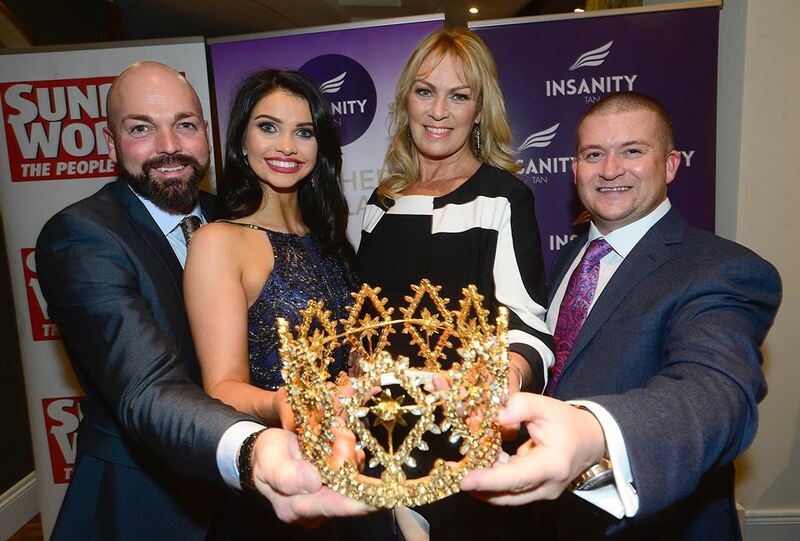 Anna Henry, our current Miss Northern Ireland has done an amazing job and was well worthy of the coveted gold crown! She has represented Northern Ireland to the highest level and well and truly put us on the map when she headed to the Miss World competition. Like Anna said on the launch night she will be sad to give the title up and so would anyone after a crazy year, but who will she be handing the role over to? Enter at www.missnorthernireland.co.uk today, you must be aged between 17-24. Good luck to anyone who enters, it is an amazing opportunity and one you won't regret! Thanks for reading as always, there is a valentines post coming soon.